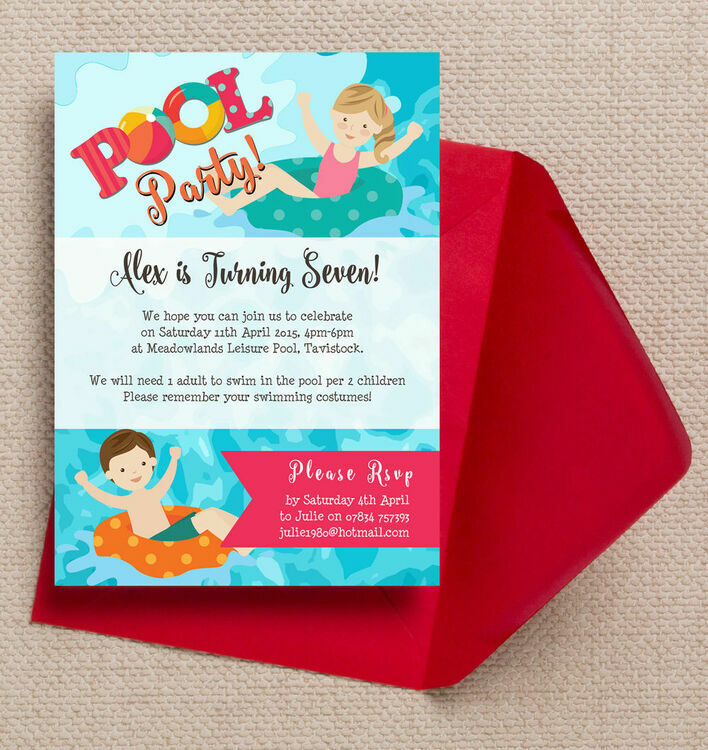 Does your little one want to splash around for their birthday? 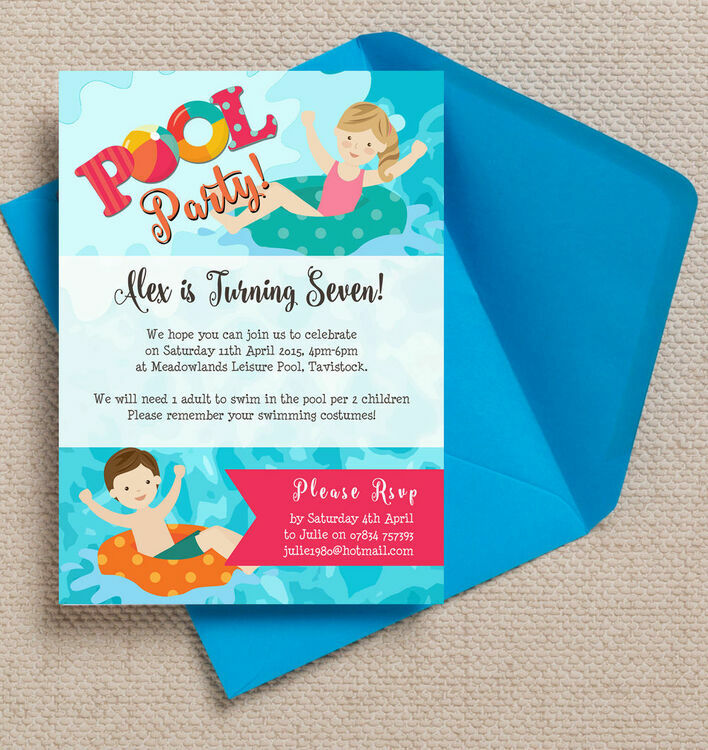 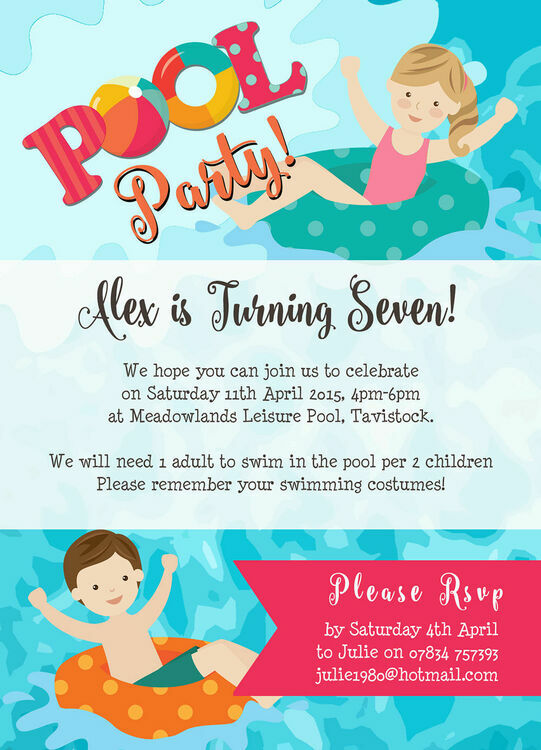 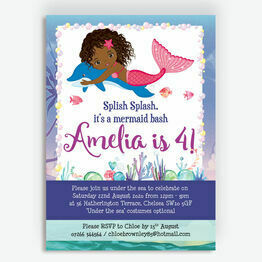 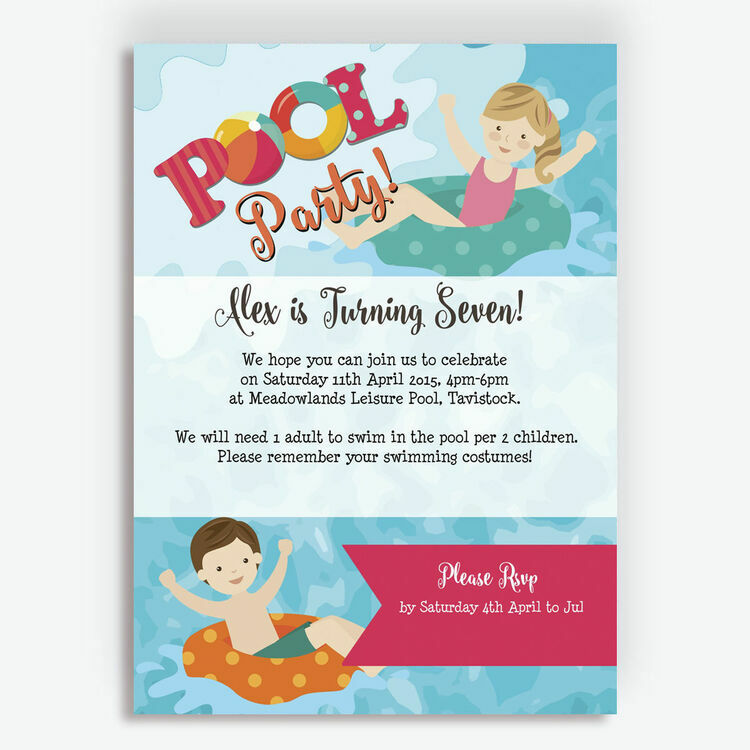 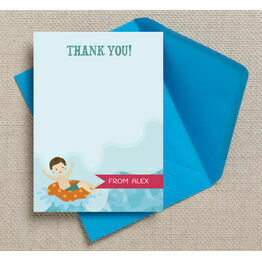 Invite their friends to a swimming pool party with these fun and colourful personalised party invites. This design is also great for a beach celebration in the summer. 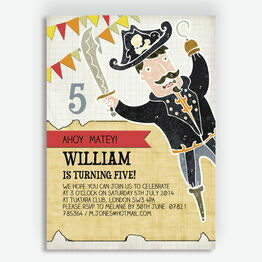 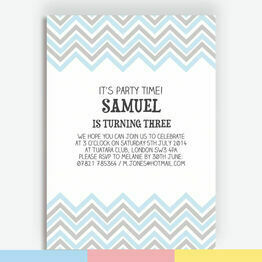 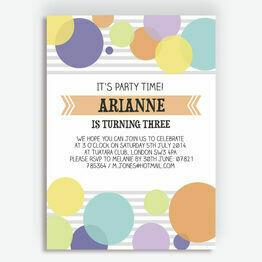 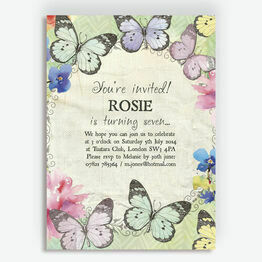 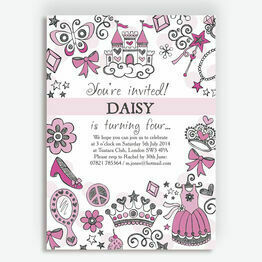 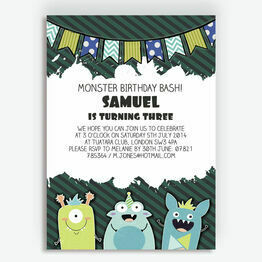 Capture all the important details of your son or daughter's birthday party in a fun and vibrant invitation design. 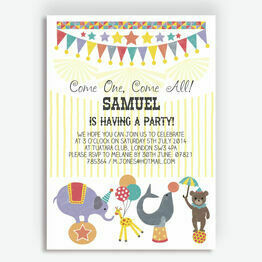 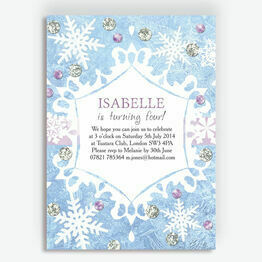 You can choose to print this design from home or make the most of our professional printing service.